"In the words of my dear friend Amanda Carter Gomes, "Transition, like aging, is inevitable." She's right, of course. We're evolving as humans every day, but it's always interesting to watch someone evolve a business and Amanda is doing just that. You may remember Amanda. You heard from her on Creating Your Own Path in 2015 when she was working hard as the executive editor of Clementine Daily (an online publication I worked for at the time) and she has just launched a new — and, dare I say, more evolved — brand that is so needed in the lifestyle publication space. 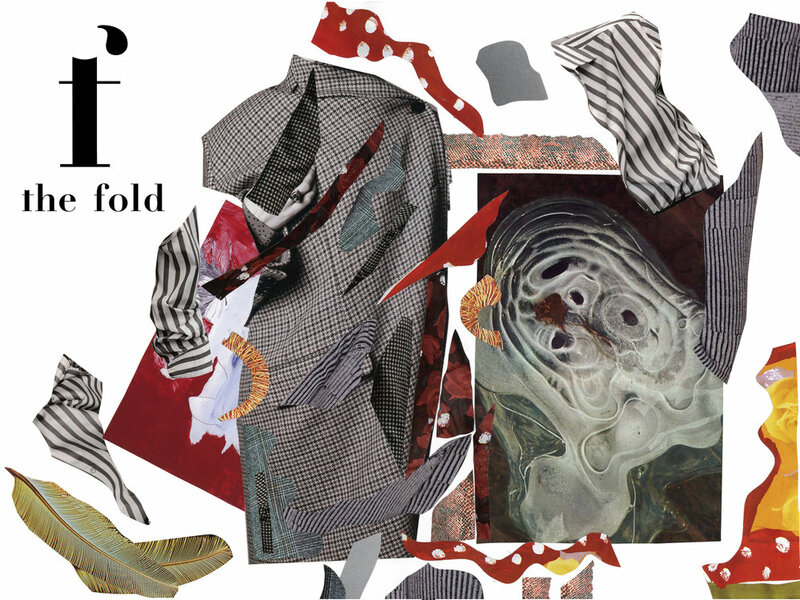 It's called The Fold Mag and it's "for women of an uncertain age and particular attitude." From The Fold Mag, you can expect a more in-depth look at what it means to be a woman in today's society from an intersectional perspective. I cannot wait to see what she and the writers will do with the space and I'm so proud to know the talented woman at the helm. While much of the content will live online, The Fold Mag recently launched with an in-person event in Seattle and I have no doubt that many, many connections will be made, both online and off, as the publication makes its way into the world. Please go check it out when you have a moment! Today I’m sharing my very last episode from my #CYOProadtrip to Seattle. Amanda Carter Gomes is the Executive Editor of Clementine Daily and, not only was she kind enough to share her story with us today, but she and her amazing family let me stay with them while I was in town! In our interview, Amanda and I talk candidly about the future of Clementine Daily, how Amanda’s many different jobs have all played a role in getting her to where she is today and why we all need to start valuing our past experiences more. Guest editor series from April, May + June! Want to know the best part of being your own boss? In my opinion, it's comes down to having the freedom to shift, grow and change as you move through the journey. We cover that theme quite a bit on the Creating Your Own Path podcast and today I'm sharing more about a shifting collaboration with my favorite online publication, Clementine Daily. New this year, I'll be working with the editorial team to help shine a brighter spotlight on some of the women I've already had a chance to interview for my show. You see, Clementine Daily has always had a column titled "Everyday Icon" that highlights amazing women and I'm thrilled to announce that I'll be contributing to that column fairly regularly. You may have already seen a few of these articles this month, in which I had a chance to follow up with Anna Watson Carl of the Yellow Table and Melissa Camilleri of Compliment. If you have a moment, be sure to check them out. The goal is to see where the women are now, how they stay inspired (and sane) and what they've got coming down the line. I've absolutely loved digging a little deeper into the worlds of people I admire to find out how they do what they do. And if you're a fan of some of the other articles I shared on Clementine Daily last year—don't fret. I'm working on a few other projects with them as well (like this one! ), so stay tuned. Here's to a beautiful year of collaborating, my friends!